Choosing or building a new home is a decision that usually needs a lot of thought. Especially if you are not sure what you want or what type of home would suit best for your location. 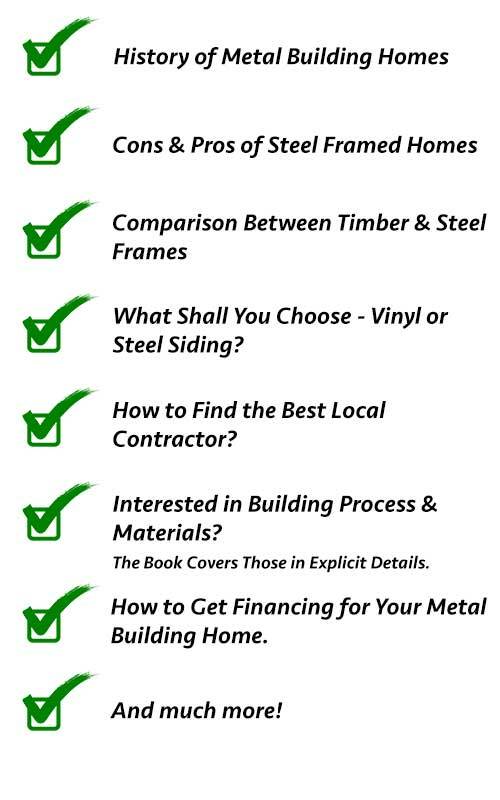 Since you are reading this, you probably considered if a metal building home or a steel frame home is something that you should build or buy. For this very reason, we prepared this 54-pages guide which will answer most of your questions and will help you choose your future home. We received many emails and comments with the same questions over and over again and decided to finally put it all together in one piece. How do I get financing? Is steel frame better than timber frame? What about the wifi connection in the metal home? If you have similar questions spinning in your head then you should definitely get this guide! ONLY $23.95 $6.95! 70% OFF! Pay Now – Download It Instantly to Your Device! You will be redirected to Paypal Gateway. You can pay with credit cards even if you don’t have Paypal account. Lifetime Updates: We are striving to bring you the best product and the most recent information, thus we will be updating our ebook on a constant basis. Every customer will receive a new updated version of our ebook free of charge! 100% Money Back Guarantee: if you don’t like this ebook we will fully refund you within 30 days of purchase. If You have any questions regarding our ebook do not hesitate to contact us below! Sign me up for awesome newsletter - homes, contractor deals, floor plans! 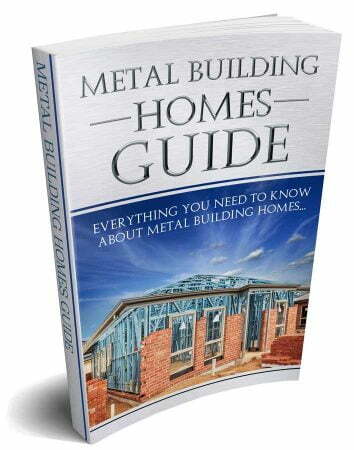 Metal Building With Living Quarters – 5 Disadvantages You Should Consider Before Making a Decision!